Have a safe and enjoyable outdoor recreational experience on the lands and waters of the Adirondacks. Properly plan and prepare for your outdoor adventure. Minimize the impact on the mountains and forests, rivers and brooks, ponds and lakes, and the wildlife of the Adirondacks. Check the Backcountry Information for the Adirondacks web pages for more detailed information on access, outdoor recreation infrastructure, and conditions for those planning to recreate in the Adirondacks. This bulletin provides only the most recent notices. Emergency Situations: If you get lost or injured, keep calm and stay put. If you have cell service, call the DEC Forest Ranger Emergency Dispatch, 518-891-0235. Check snow amounts and mountain weather conditions before heading out this weekend. View more information on our website on winter hiking safety, what to pack, and what to do if you get lost or injured. Watch a video about winter hiking safety tips. Weather forecasts and conditions can and do change quickly. Check the current National Weather Service Forecast, and be prepared for the forecasted conditions, or change your plans. Ice is present at all elevations across the Adirondacks. The recent rain and warmer temperatures have created very icy conditions on all trails. Wear crampons and bring snowshoes. Use trekking poles for added support and balance when traveling on icy trails and summits. Trekking poles are especially useful when descending elevation. High waters are present throughout the Adirondacks as well from the recent thaw. Waterways may be impassable. Use high water crossing bridges and be prepared to turn around if a waterway is impassable. Unexpected weather is likely at high elevations. While it may be mild weather conditions and warmer temperatures at the trailhead, be prepared to encounter unexpected weather such as sleet and high winds on the summits. Bring extra layers and be prepared to turn around if the weather becomes too dangerous. 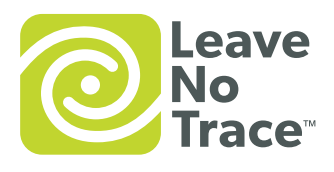 Follow proper trail etiquette to maintain minimal impact on the environment and the natural resources of the Adirondacks, as well as ensure an enjoyable outdoor experience for all visitors by following the Seven Principles of Leave No Trace. 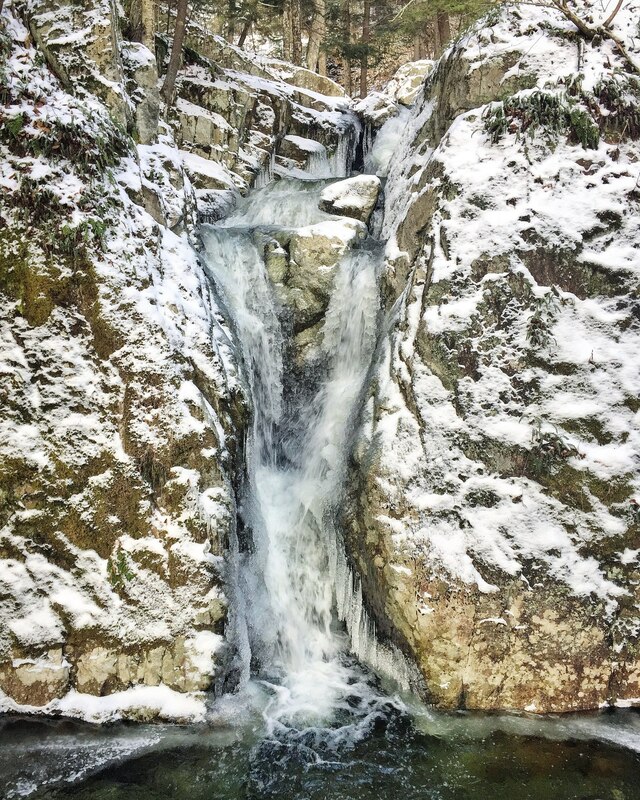 Trail conditions will be wet and cold this weekend. Plan and prepare ahead by wearing waterproof boots, gaiters, and wool socks. Bring extra wool socks in case your feet become soaked. Prevent hypothermia by packing extra layers and keeping yourself dry and warm at all times. Be courteous of others while recreating regardless of their activity, speed, or skill level. Hike in a single file, especially when approaching other hikers. Stay to the right and pass on the left when safe and appropriate. Allow faster hikers to pass. When approaching other hikers from behind, politely let them know of your presence and desire to pass. 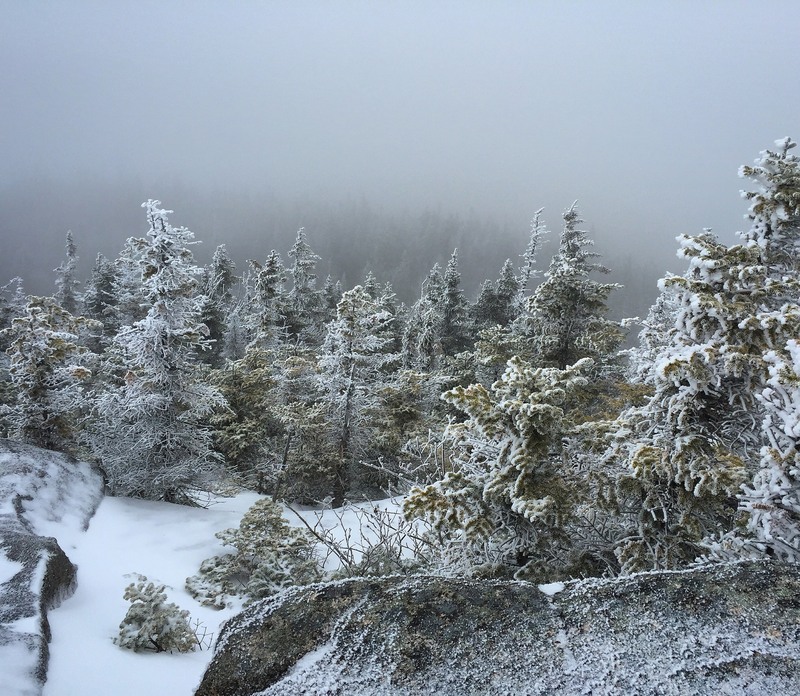 Learn the conditions you will encounter from Adirondack Backcountry Information. Travel: Check NY511 for road closures and conditions. Snow Cover: Warm weather and rain have reduced snow cover, but there is still a good amount of snow on the ground. Snow depths range from 1-2 feet of snow in the center of the region. Snow depths range from 6-12 inches in the outer ring. Snow is deeper in the higher elevations; snow is 4-5 feet deep above 3,000 feet in the High Peaks region. The National Weather Service NERFC Snow Page provides maps depicting current snow depths and forecasts. Fluctuating Temperatures: Above freezing temperatures this week will be followed by below freezing temperatures this weekend. Daytime temperatures will be in the teens and 20s while nighttime temperatures will be in the single digits. Ice on Waterbodies: Ice has formed on most waters. This weekend, ice will likely have a layer of water on top that will be refreezing. Always check the thickness of ice before traveling across it. Avoid ice over running water, near inlets & outlet and near boathouses & docks - especially those with "bubblers" or other ice prevention devices. Remember, ice that holds snow may not hold the weight of a person. Be safe on the ice, especially when ice fishing. Trails will be hard and icy except in the higher elevations. Trail crampons and steel-tipped hiking poles should be carried on all hikes and used when warranted. Crampons will also be necessary on wind swept summits. Unbroken trails will have a crust of ice on top of the snow. Snowshoes should be carried on any hikes where snow depths exceed eight inches and used when warranted to prevent post-holing. Traveling through snow takes more time and energy than hiking on bare ground – especially if you are breaking trail through recently fallen snow. Watch and listen for snowmobiles when skiing or snowshoeing on designated snowmobile trails. Move off the trail to allow snowmobiles to safely pass. Mountain Summits: Temperatures will be much colder, winds will be stronger, ice will be present, and snow will be deeper. Check the National Weather Service Mountain Point Forecasts for selected summits. Trails: Trail conditions are excellent for snowmobiling. Most trails are open and are in good condition. Check with local snowmobile clubs to determine status and condition of trails. DEC and OPRHP remind snowmobilers to ride responsibly while enjoying the state's abundant snowmobiling opportunities. Watch for skiers and snowshoers using snowmobile trails - slow down to safely pass. Notices below reflect recent changes in conditions and recreation infrastructure work that DEC and its partners completed. Check the Backcountry Information for the Adirondacks for ongoing issues and more detailed information. Trails are hard and icy. Water levels in brooks and rivers are high. Some waters have jumped their banks and washed snow out of trails. Some drainages have blown snow out of trails as well. Avalanche Conditions are present on high elevation slopes. Backcountry downhill skiers, snowboarders, and others who may traverse slides and other steep open terrain must be aware of the risk of avalanche. There have been two skier-triggered avalanches in the High Peaks region so far this winter – nobody was caught in either avalanche. Cobble Lookout Trail, located in the Wilmington Wild Forest is a 1.3-mile trail which closely follows the contour across the southwestern face of the Stephenson Range to a large rocky ledge. The lookout offers great views of nearby Whiteface Mountain and much longer views across the Ausable River drainage to the Jay Mountains, Hurricane Mountain, and many other peaks. The trail passes an old rock quarry approximately 0.2 miles from the trailhead which provides the trail its name. 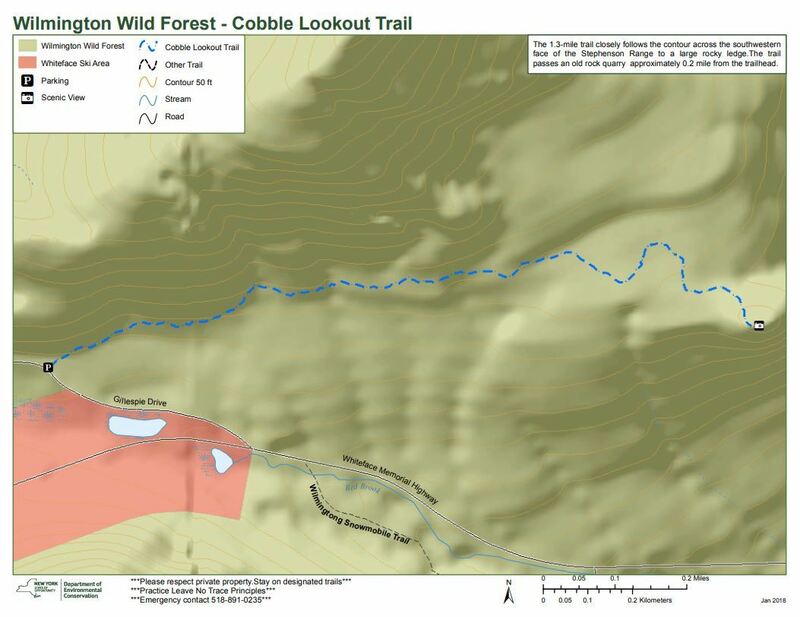 The Cobble Lookout trail map is available to view and download.